With a strong commercial and finance background and 25 years as a Senior Executive, Geraldine Ruane has led and developed strategic vision, implemented growth strategies & efficiencies within the Pharma, ICT, Manufacturing and Public sectors. Having qualified as an Accountant, Geraldine developed her international business and leadership experience through her roles as Financial Controller/Finance Director with Upright Irl, Mallinckrodt Pharmaceutical and Novartis Pharmaceutical. As Chief Executive of Chanelle Pharma Group, Geraldine developed the Human Pharma section of the business by building and leading a strong senior management team, delivering high performing results within operations, headcount growth from 90 to 250+ within 2 years and revenue growth by 30%. Geraldine has a strong understanding and experience in developing customer-focused growth companies using the power of technology, innovation and e-commerce, adopting cutting-edge leadership approaches in developing high-performance management teams and establishing strategic business networking channels nationally and internationally. 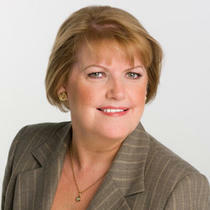 Formerly CEO of Ordnance Survey Ireland, Geraldine is now the COO of Trinity College, Dublin. Her consultative management style has been backed up by her lifelong learning on leadership, coaching and mentoring from Harvard, IMD, IOD, IMI and UCD Smurfit business school.